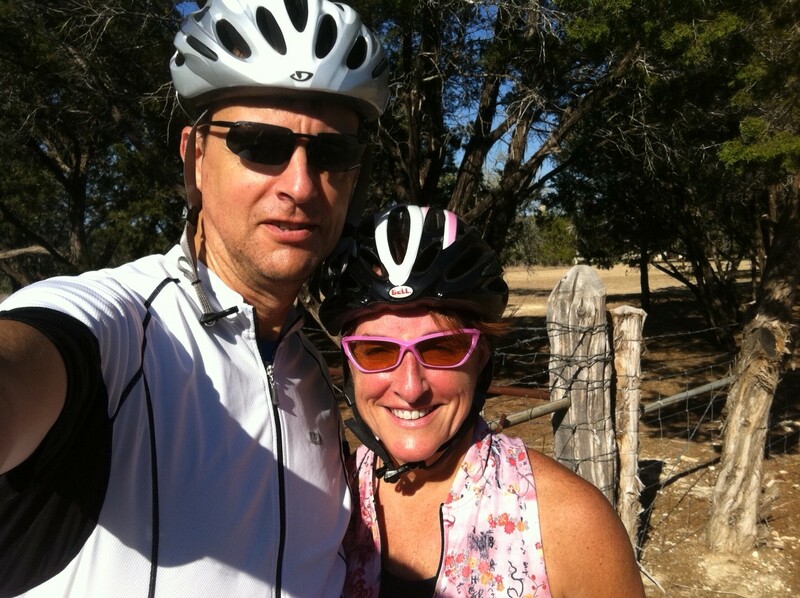 Kem and I got away to do a little cycling in the Hill Country over the Labor Day weekend. Kem had been searching the web for a place to stay and ran across the Mt Gainor Inn. Turns out, we’d biked by this place a couple of years before. It’s located south of Dripping Springs along one of the many great country roads there that are perfect for cycling. Turns out we’re not the only ones to head out there for cycling. They cater to the cycling crowd. The winds were fierce both of the days we rode. They were probably sustained at 20+ mph and gusting to over 30. These are the same winds that fanned the flames of the wildfires that erupted around central Texas over Labor Day weekend. On top of that the temps on Sunday were headed over 100 again so the length of our rides were not that long. Still though, the roads and scenery are so nice around there it made for some great rides. Rolling countryside, pretty low traffic in most cases. Aside from the riding, that area from Dripping Springs down to Wimberley has started to sprout vineyards and olive orchards. We ventured over to Bella Vista Ranch one afternoon. They do both wines and olive oil but they’re mainly known for their olive oil. The next day we drove over to Driftwood Vineyards. We’ve been over to this place before but it’s been a couple years. You almost need a 4 wheel drive to get back in there. Not quite, but it’s a long, hilly, gravel drive to get there. It was fun to see how they’d been growing. They’d spruced up the area around the tasting room with a new patio area that looked good for large events. They make and sell wine from both Texas and California grapes. We got a bottle to have with lunch on their porch. Evenings were nice at Mt Gainor. 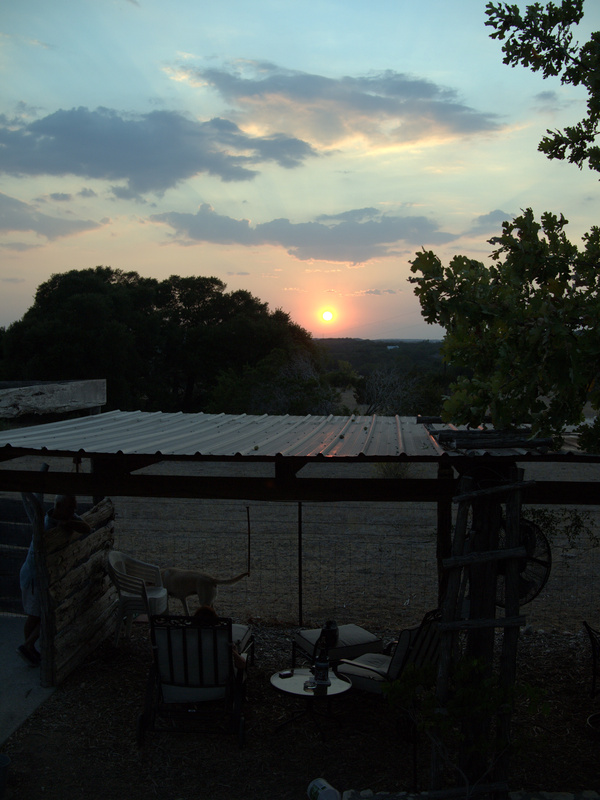 We just hung out and watched the sun set over the hill country. For dinner we found Creek Road Cafe in Dripping Springs. This place was surprisingly good for a little town. Check out their menu. The lamb chops came recommended from our innkeeper and she didn’t steer me wrong.